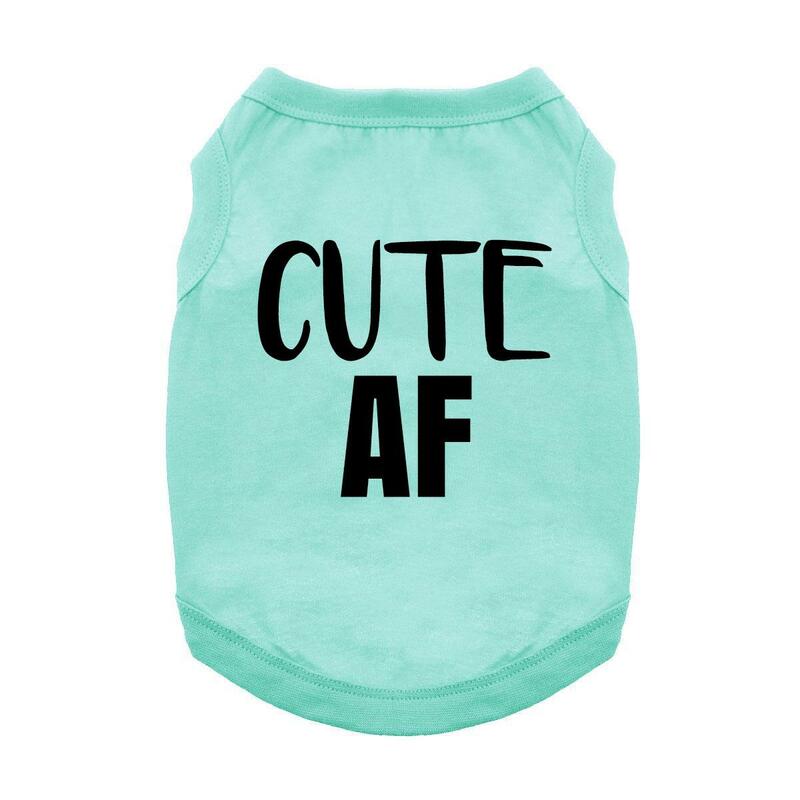 Let your pet say it all with this Cute AF Dog Shirt in Teal. 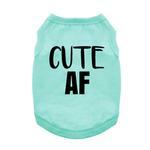 The Cute AF Dog Shirt in Teal is a perfect look that lets your pet tell the world how it is! This cute dog tank top features a sleeveless style, a high-cut tummy, and a soft 100% cotton knit for comfort and breathability. Care: Turn inside out, machine wash in warm or cool water. Lay flat to dry to prevent shrinkage.